TMJ stands for temporo-mandibular joint, which is the joint formed by the bones of the skull (temporal bone) and the lower jaw (the Mandible). What does the TMJ consist of ? Skull bone (Temporal Bone of the skull): Two important parts exist: first is the glenoid fossa, where part of the jaw bone (condyle) fits, second is the articular eminence, which is an elevated part of the bone designed to limit the forward movement of the jaw bone. Lower Jaw Bone (Mandible): The part that fits the skull bone is called the condyle. Articular Disc (or Meniscus): which is a piece of cartilage that lies between the two bones, and lined by a special lubricant (named the synovial fluid) to allow the movement of the two bone without friction. Muscles and ligaments: These are responsible for opening and closing the mouth, and limiting its movements so that it does not dislocate from its position. The TMJ is responsible for opening and closing the mouth. The movement starts when the muscles and ligaments contract. This causes the condyle to 1st rotate and then move forward, gliding on the articular eminence. The articular disc moves forward along with the condyle, they generally act as on unit. It is important to understand the movement so as to understand how problems occur. TMDs stand for temporo-mandibular disorders, which are a set of problem that occurs with the TMJ system, that can cause pain, clicking sounds and sometimes even limitation of jaw opening and movement. What Are the Most Common TMDs? There is a wide range of TMDs. They usually start with a minor clicking sound when you try to open or close your mouth. Next they evolve to more serious complications, like pain in your bones and muscles, trouble biting and chewing, and limitation of your jaw movement. 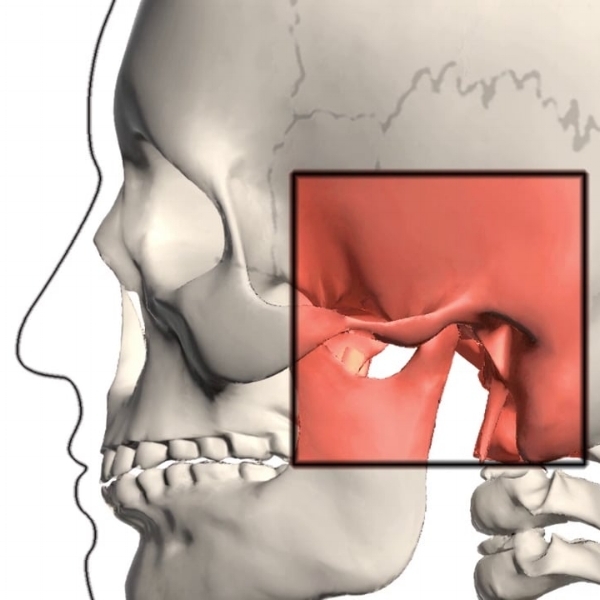 Sometimes your jaw can become “locked” in the open or closed position. A swelling on the side of the face can also manifest at a later time. Symptoms arise from problems with the muscles of your jaw or with the parts of the joint itself. Injury to your jaw, the joint, or the muscles of your head and neck -- like from a heavy blow or whiplash -- can lead to TMD. Other causes include grinding or clenching your teeth, which puts a lot of pressure on the joint, movement of the soft cushion or disc between the ball and socket of the joint, arthritis in the joint or stress, which can cause you to tighten facial and jaw muscles or clench the teeth. How Do I know if I suffer from a TMD? Perhaps the most serious problem with TMDs is their diagnosis. The symptoms in the beginning are so minor and unnoticeable, that most people just ignore them. Your Dentist would advise you to seek consultation as soon as you hear a small click, feel minimum pain in your jaw or muscles, or experience a slight limitation of jaw movement. The first line of treatment after diagnosis, is prevention of further damage. Your Dentist will prescribe you a night guard, which is a device you wear on your teeth to prevent grinding and alleviate the pressure on the joint. Next step is to decrease the forces and pressure on the joint, by maintaining a soft diet and using muscle relaxants and hot compresses. If all else fails, the dentists will refer you to a specialist, who will probably perform a surgical procedure to repair the damage done to your joint. A night guard may help.